She was all smiles and sweetness and light…much more herself! Could have had something to do with the 20+ degree spike in temps since our last meeting. Whatever the reason, I was thrilled to see her again! 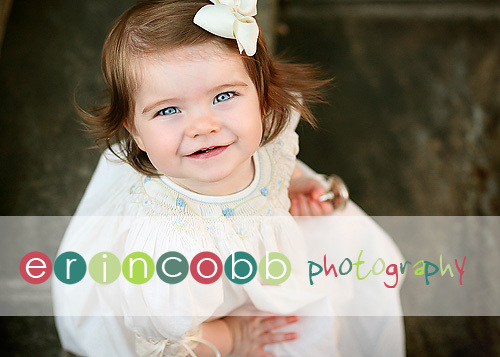 Let me tell you, she is one gorgeous child with an amazing set of eyes which made photographing her a real treat. I have tons more to show you, mom and dad…see you soon! martha – Cute! Love the dress. I like the walking one but also like the one on the steps, so hard to pick a fave. 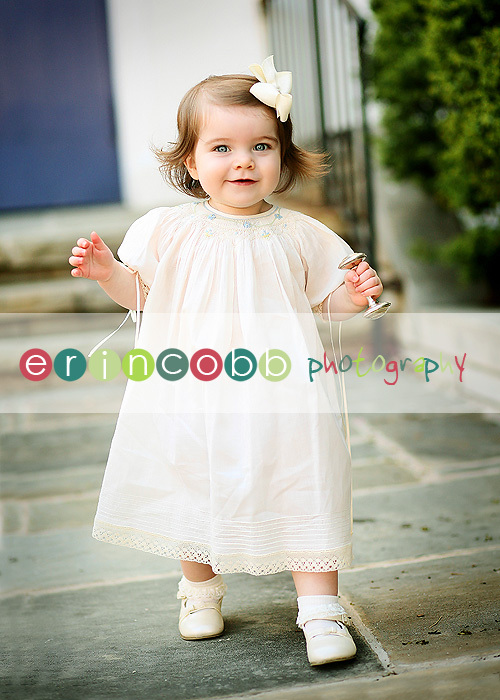 Kara Eileen – Your clients have the most beautiful baby girl dresses I have ever seen! It doesn’t hurt that the photographs are beautiful as well. Kristi Kelly – I am very glad she cooperated this time. Her hair can’t decide if it wants to be curly or straight, but that just further captures the perfect picture of “her”. 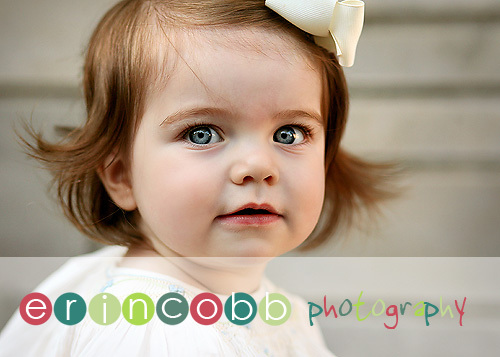 Thank you for getting so many of her baby blues! Jennifer – WOW – what a beauty!! 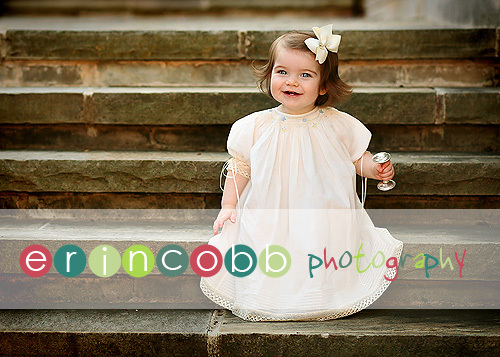 Dad is going to have his hands full as this one grows up! !